Over the past few years blogging have become a part of the life of many bloggers who started it as a “Just for Fun” thing. As the craze of blogging developed in the school students as well as college students now, it’s all competition among them as to who provide better content than one another. As the advancement of New Word press technologies more and more bloggers have shifted to Wordpress.com from Blogger.com, this can be a smart move for the old and well established bloggers but new bloggers should stick to the blogger.com free blogging platform because it proved free unlimited uploads where as in wordpress.com you have to buy, and investing money into blogging while you are still learning the basic tactics of blogging is not a good idea. Blogging have become a new playing thing over internet, so every new comer is posting new and fresh content every day. But in recent studies about blogging By Benny Mathur (that’s me) I have observed that now the content is getting repeated some way or the other might also called them “Spinned” Article in which the same article is presented in a different way. In 2013 we say SEO both off page and on page, both effective enough to make a blog up and running within a week, some of the very new blogs got good Google Ranking by using these SEO tactics. It’s a long 2014 year ahead and finding new tactics for blog promotions is kind of hard stuff now. 2014 came with new possibilities for a blogger , as the competition is now very tough to survive in this blogging industry , all the bloggers have to give their 100% to make their on the top of the list. 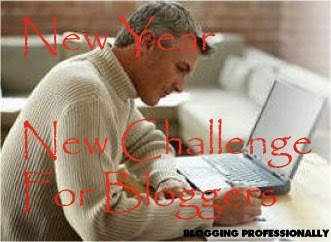 Yes, in New Year you should provide new article and new ideas to bloggers. There are many newbie bloggers who joined blogging in 2014 for them you can create new teaching course for blogging, sounds funny right? But it’s the truth many people do this so why not you …. In 2013 I have observed many blogs which give surplus amount of information in one article, avoid this will make your blog read by the visitor in daily routine. If you provide all the information in one article then the visitor will not visit your blog again for new information. Awesome article. Creating idea is great way.